This Allianz Health Insurance Company review will focus on Allianz Worldwide Care, a subsidiary of the Allianz Group. The main office for Allianz Worldwide Care is located in Ireland. Start your search for the best health insurance plan for your needs by entering your zip code into our free quote finder! The parent company of Allianz Worldwide Care, the Allianz Group, has been in operation since 1890. The company employs over 150,000 people across the world and serves in excess of 75 million customers. 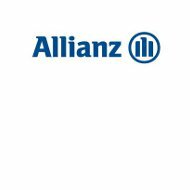 It is unknown when Allianz Worldwide Care was established as a subsidiary of Allianz Group. Whether you are looking for group or individual health insurance products, Allianz Worldwide Care has options available. These options are all listed online for customer convenience. Visitors to the website can also obtain a free quote or apply for insurance. Allianz Worldwide Care has four core plans for clients to choose from. These core plans are created with the intent of covering the more expensive medical expenses that may arise. They vary based on the amount of coverage for specific medical payments as well as the cost of your overall premium. There are optional services that can be added on to the core plan you decide to go with. These options include outpatient plans, maternity, dental, and repatriation. Repatriation means you can go to your home country for treatment in the event that necessary medical treatment is not available in your local area. Allianz Worldwide Care appears to have several service benefits for all of its customers. They are serving clients in more than 70 countries around the world. The support staff for the company is capable of speaking 30 different languages while also being knowledgeable on the various cultures in which they work with. The website is loaded with useful information regarding the plans and policies that Allianz Worldwide Care has to offer. You can download a guide that will break down details of the benefits that are available to you. The customer support line for Allianz Worldwide Care is available 24 hours a day, 7 days a week. The company also has a service line for medical advice. This is something that members can use to inquire about a medical condition and what should be done. This is not to be used as an alternative to professional medical advice or care. Allianz Worldwide Care is rated “A stable” by Standard and Poor’s. This is a strong rating. It indicates that while Allianz Worldwide Care is vulnerable to negative consequences due to economic conditions, they are in a strong position to follow through on all financial commitments. Allianz Group, the parent company to Allianz Worldwide Care, has a rating of “AA stable” through Standard and Poor’s. This is nearly the best rating available through Standard and Poor’s. It indicates the company is very strong and very likely to follow through on financial commitments. The Allianz Group has been in operation for over a century. Allianz Worldwide Care is a huge piece of the Allianz Group. While they both are considered strong through Standard and Poor’s, neither of them is rated through AM Best. The company seems to be a viable option for any healthcare needs you may have. Further online research reveals that Allianz Worldwide Care was voted as the best international private health group in 2008. There are few reviews online for this company. This is a large international insurance provider that services millions of clients around the world. With this large clientele base, there would be negative reviews available from clients if this were not a good insurance company to consider. There is no reason to determine that Allianz Worldwide Care and the Allianz Group are not excellent companies to do business with. The resources and website information indicate that despite a client base over 75 million worldwide; the company is able to provide personalized customer service to your region. For more information on Allianz Worldwide Care, you can visit their website. This will give you the opportunity to look over the materials before deciding if you want to speak with a representative about your health insurance needs. If you are on the market for health insurance, there are many options and plans to consider in the decision making process. Start the process by entering your zip code into the free health insurance quote finder!